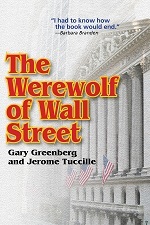 ● The Werewolf of Wall Street Gary Greenberg is available for media interviews, lectures, and debates. ● The patriarch Enoch lived 365 years, a puzzling solar reference from a lunar calendar culture. What very important astronomical and chronological event (utilized by Egyptologists) happened in the year he died? ● The patriarch Methuselah lived for 969 years, the longest-lived person in the bible. What important Egyptian political period lasted 969 years and ended in the year Methuselah died? ● The patriarch Eber’s birth and death dates coincide with the same years in which two of Egypt’s most important and celebrated political events occurred. Find out what they were. ● The patriarch Peleg’s name means “divided.” What division occurred in Egypt in the year Peleg died? Which important Egyptian king ascended to the throne in the year Peleg was born? ● The patriarch Joseph guided the Pharaoh to unprecedented political power in Egypt. 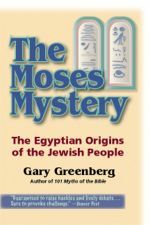 What is the chronological and political correlation between Joseph’s rise to power and the Thutmosid kings? 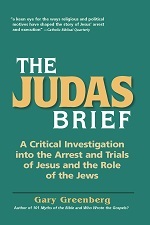 Release planned for February 2019. 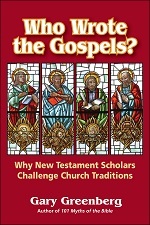 Gary Greenberg provides an easy to understand introduction to the complex and little-understood world of modern Gospel source and text criticism. ● and the unreliable nature of the Greek text underlying most modern translations. I was up most of the night reading The Werewolf of Wall Street. 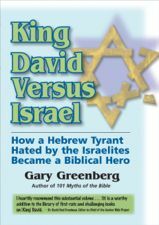 Gary Greenberg and Jerome Tuccille are marvelous storytellers. I had to know how the book would end, and, somehow I utterly suspended disbelief. Barbara Branden, author of The Passion of Ayn Rand.